Sheffield United say co-owner Prince Abdullah bin Mosaad bin Abdulaziz Al Saud is in talks to take full control of the Championship club. 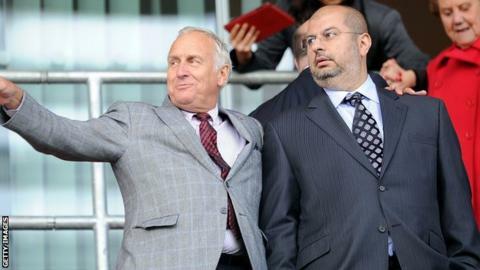 The Saudi prince bought a 50% stake in the Blades from Kevin McCabe in August 2013, with an option to take 100% ownership at a later date. The two parties are negotiating over the transfer of the club's stadium, academy and development centre. A club statement said the talks will not impact the management or staff. It added they hope to come to a final settlement "in the near future".